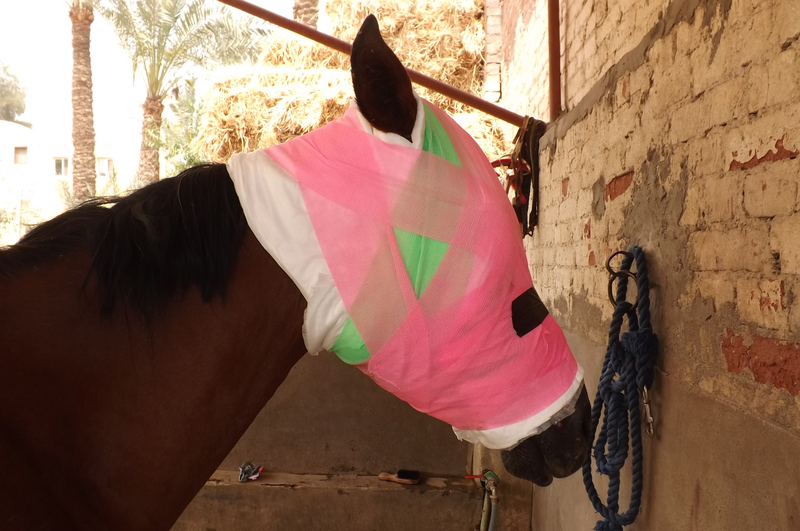 Robinson Animal Healthcare has donated products to Egypt Equine Aid to help support the work they do helping horses, donkeys and mules at their purpose built equine hospital based in Cairo. Egypt Equine Aid was founded in 2014 by Jill and Warren Barton, with the aim of treating sick and injured working animals as well as providing education to enable their owners to take better care of their animals. The charity also run mobile clinics, offering dentistry and first aid, and education seminars for owners, vets and farriers, and they regularly hand out donations of head collars, saddle pads, and noseband covers to go over extremely uncomfortable chains owners often use. Robinson Animal Healthcare donated Veterinary Gamgee, wound dressings and Equiwrap bandages; products that were soon put to good use helping a mare that came into the hospital with a shocking facial wound, the horrific lesions were caused by a type of parasite.